Make a bunch of tasty dishes, all from one store-bought chicken. Weeknight dinners can be tough to get on the table… and pricey. 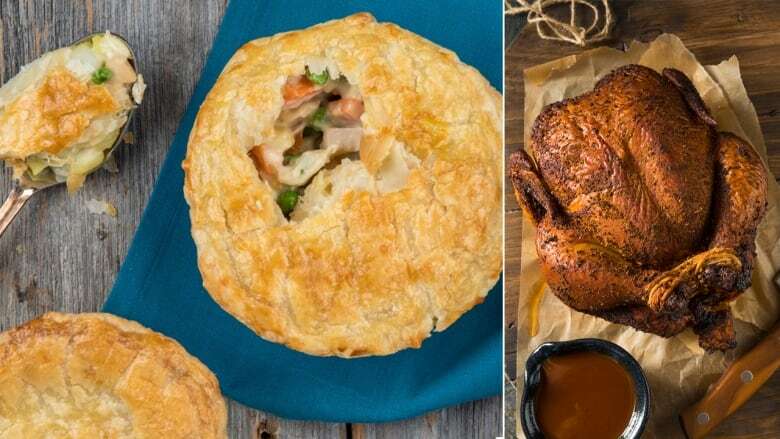 So Chef Shahir came up with four delicious ways to make the most of your store-bought rotisserie chicken. These delicious dishes use up the whole chicken, and help you make it last all week. The best part? You can cut back on your prep time, big time! Don't be intimidated by this delicious dish — it's super simple, we promise. 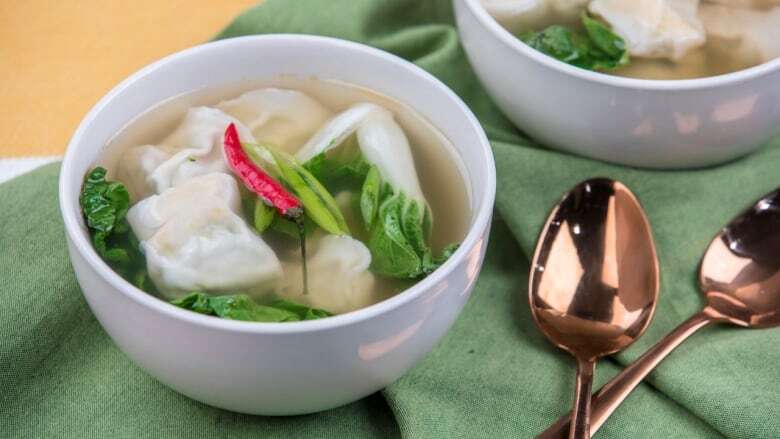 Use pre-made wonton wrappers to cut prep time and either boil or plop them on a sheet pan in the freezer for a family dinner that's ready in no time. They're packed with veggies, cook in minutes and make 30-35 dumplings at a time, so your wallet will thank you. Get the recipe here. Perfect for weeknight dinners, this salad is ready in a snap. For this dish, simply use a leftover chicken breast and some olives and Gorgonzola you have in your fridge. A bit of pancetta and boiled eggs add some extra flavour. 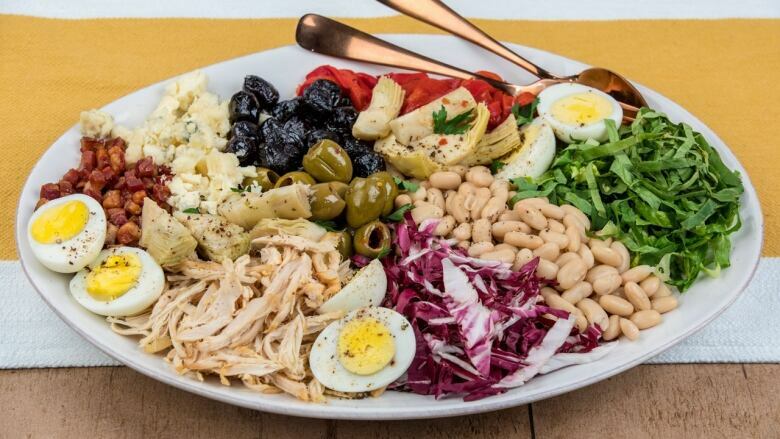 Simply pile it on a serving plate and let your dinner guests create the salad that they want, making for a dinner with lots of variety and even more veggies. Get the recipe here. Get to know your new weeknight dinner fave. 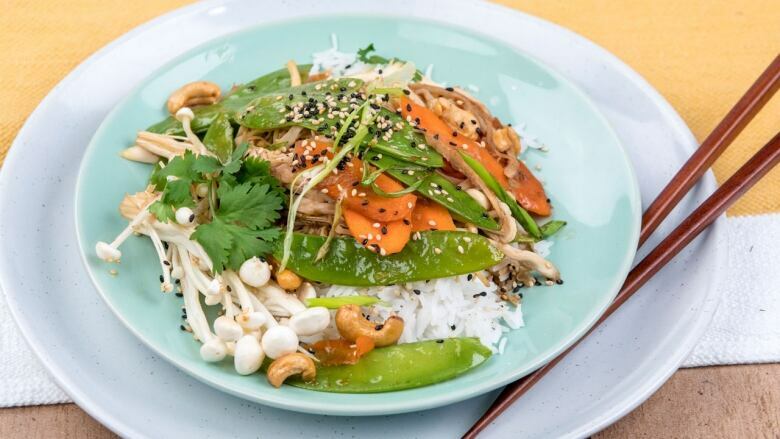 This stir-fry has all the makings of the perfect meal. It's full of veggies and budget friendly — plus it's packed with flavour. Use a chicken breast — and because it's already cooked, dinner is on the table in no time. Get the recipe here. 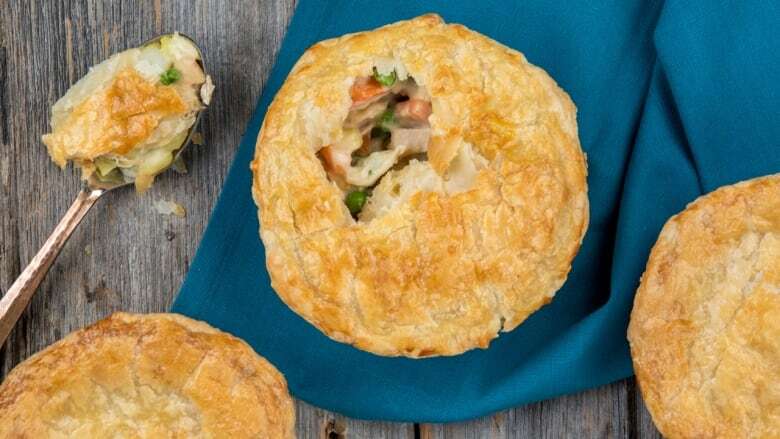 A comfort-food favourite, this dish is full of veggies, lots of protein and topped with store-bought pastry — because who doesn't love puff pastry? All you need from the chicken is a thigh, a leg and two wings. The secret to getting it on the table faster is to blanch the potatoes and carrots to save you up to 15 minutes of cook time, and you'll have a satisfying dinner ASAP. Get the recipe here.